Na`Vi undoubtedly have the potential to rule the CS:GO scene. 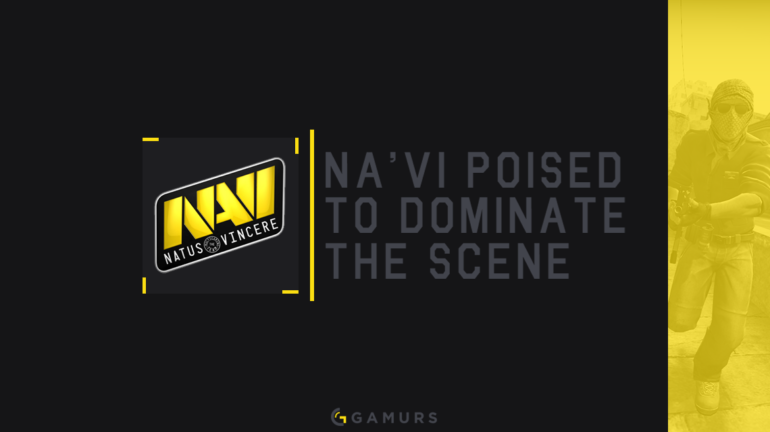 Natus Vincere (Na`Vi) are a team that recently have always been on the brink of greatness. Placing second at consecutive Major tournaments expresses this, how Na`Vi have always been one of the best teams in the world. All of this could change, however, as Na`Vi have the potential to be the best team in the world. With the recent addition of Oleksandr “s1mple” Kostyliev, it is hard to argue that the Na`Vi organization does not possess the most skilled team in the entire world when it comes to individual talent. S1mple joins the likes of Egor “flamie” Vasilyev and Ladislav “GuardiaN” Kovács to make a trio of players who, at some point in the last 12 months, have been considered within the top five best players in the world by the community. The AWPing skill from GuardiaN combined with flamie’s methodical decapitation of players and s1mple’s breathtaking plays create a group of stars who can each single-handedly win maps. An example of the effect these players can have on a game was clear during Na`Vi’s win over Luminosity (now SK Gaming) at Dreamhack Leipzig, where flamie was the reason behind Na`Vi’s victory, as the Russian ended the series with 23 more kills than his nearest teammate. As well as the trio who are known for being star players, Na`Vi’s other two riflers are by no means unskilled. Ioann “Edward” Sukhariev and Denis “seized” Kostin are both more than capable of picking up the slack when their stars aren’t performing, leaving Na`Vi with no weak links when it comes to firepower. Man for man, no team in the scene right now can challenge this Na`Vi lineup for individual talent. Their only contenders could possibly be SK Gaming, the current best team in the world. However, SK rely heavily on superstar players like Marcelo “coldzera” David, who in both of the Brazilians’ Major tournament victories has been the MVP of the tournament by a country mile. Coldzera may be the best player in the world, but his team can’t compete with Na`Vi’s extraordinary amount of firepower now that the youngster s1mple is included. This dominance in fragging power over any team provides Na`Vi with the potential to become the best squad in the Counter-Strike scene. Danylo “Zeus” Teslenko’s departure does leave the team without his tactical input, however this is not too great of a loss for the European team, as he was no longer the main strategical mind for Na`Vi. In September of last year, seized tweeted that Sergey “starix” Ischuk had been the man calling the shots in Na`Vi’s win over Team SoloMid, whose core now make up Astralis. This marked the beginning of starix’s tenure as the In-Game Leader (IGL), during which the team enjoyed success under the veteran tutelage of starix, going on to reach the Grand Final of two consecutive Major tournaments soon after he took over as IGL. The Ukrainian coach’s impact was immediate and positive on the team’s results. With Zeus’ fragging abilities lagging behind that of his superstar team, and his role as IGL adopted by starix, it seemed likely that Zues would give way to a player with more emphasis on their firepower than tactics. And so, on Aug. 4, it was announced that s1mple would replace legend of the scene and member of the original Na`Vi squad, Zeus. Adding s1mple to a lineup stacked with talent and directed by the tactical mind of starix wets the appetite of any Counter-Strike fan, and makes the bitter pill of Zeus’ departure easier to swallow. Should the Na`Vi squad maintain their composure without their old captain, the tactics behind this squad of heavy-hitters could propel the team to the top of Counter-Strike. It has become clear in recent events that the CS 1.6 legend, dubbed the “Pistol King,” has had an impressive improvement in his often lackluster results. Edward has shown recently that when his superstar teammates have poor games, he can put up big numbers. In the group stages of the inaugural season of ELEAGUE, Edward ended the matches with a kill/death ratio of +51 over the offline group stage. As well as a strong showing in Atlanta, Edward was the one redeeming quality for Na`Vi in their quarter-final loss to Team Liquid in the Cologne Major. While big names such as flamie and GuardiaN struggled to impact the game, Edward finished the three map series with the most frags out of the ten players in the match. To add to this impressive statistic, the Pistol King ended the series with a whopping 20 kills more than his next closest teammate, Zeus. The implications of an in-form Edward are huge for Na`Vi, as now the team have no weak fraggers in their squad. S1mple replacing Zeus marked one upgrade in firepower for the predominantly CIS side, and Edward’s improvement in form makes the team even more scary for opposing sides. As Edward and Zeus, both legends in the game, were the most commonly criticised players for Na`Vi in terms of not pulling their weight with kills, the team now have no apparent weak link provided the players perform at a reasonable level. On top of his ability to stack up big numbers of frags in games, Edward also possesses an aptitude in the most important round of the game, the pistol round. The origins of his nickname “Pistol King” stem from his proficiency with the game’s pistols, particularly in the opening round of a half. 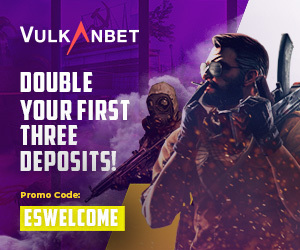 The benefits of having a player who can turn pistol rounds in their favour can not be overstated, as it gives the team early control over the ever so fragile economy in the game. One of the game’s best pistol players being in-form gives Na`Vi an advantage over teams in the most pivotal round of a map. If Edward’s form continues in its current fashion, Na`Vi are very serious contenders for best team in the world. Currently the undisputed best team in the world is the Brazilian side of SK Gaming, who hold the two most recent Major tournament titles. However, SK Gaming’s Epitacio “TACO” de Melo tweeted that his team will miss out on the next large tournament that Na`Vi will attend, StarLadder i-League StarSeries Season 2. This will provide an arena for Na`Vi to show the strength of their new lineup without the dominating presence of SK Gaming, and allow them to establish the beginnings of their reign over the scene. However, they will not truly be the greatest team in the world until they prove their superiority over SK Gaming. Zeus’ absence from Na`Vi is a sore sight, but it is undeniable that this current roster has the potential to conquer and dominate the Counter-Strike scene.